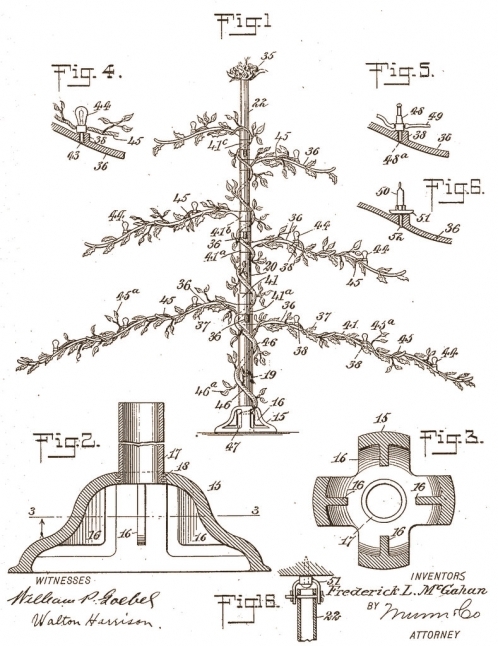 An early design for an artificial, fireproof Christmas tree. The design included lighting directly attached to the branches. 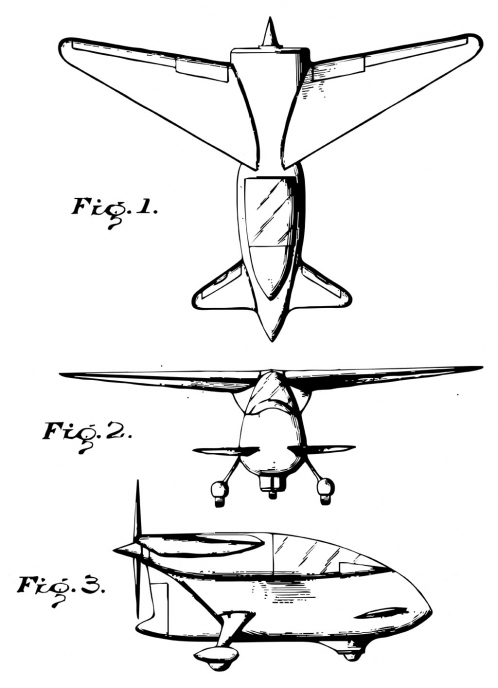 The patent was awarded to Frederick Luther McGahan in 1907. 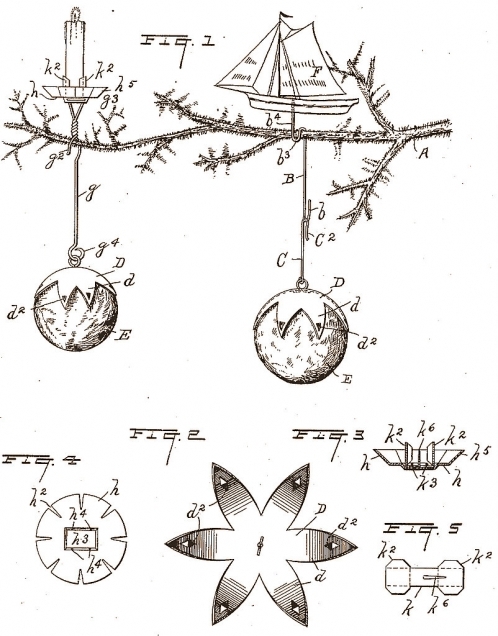 The patent for this Christmas tree decoration was awarded to John Fred Buschmann in 1901. 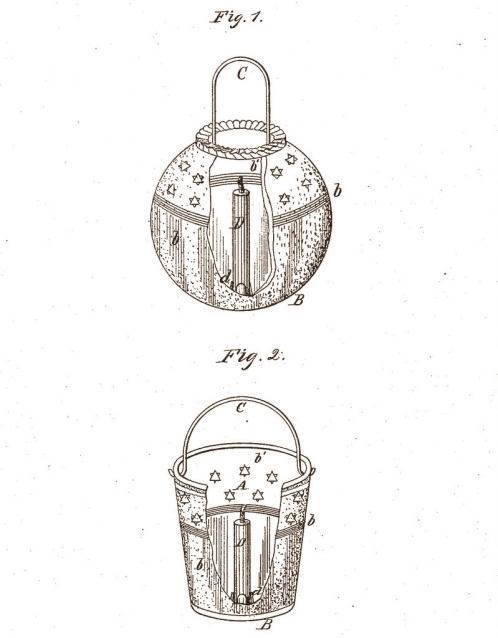 This design for a candy toy lantern can be used as a Christmas ornament for a tree. The patent was awarded to Robert H. Moss in 1879. This Toy Balloon would be constructed of stiff paper or card board to be used as a tree ornament. 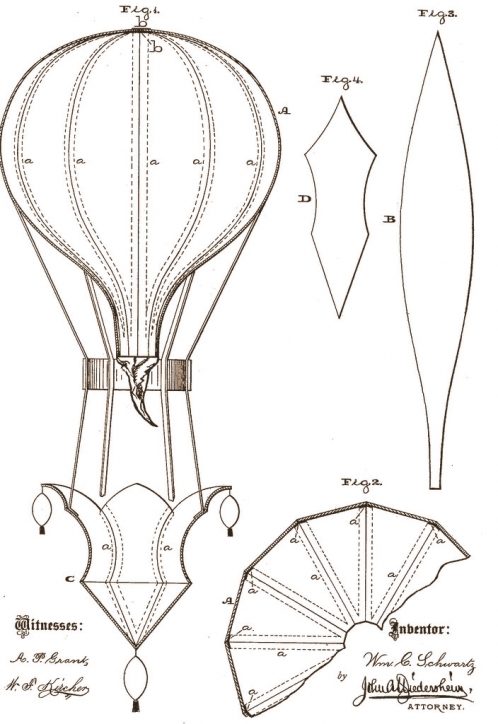 The patent was awarded to William C. Schwartz in 1878. 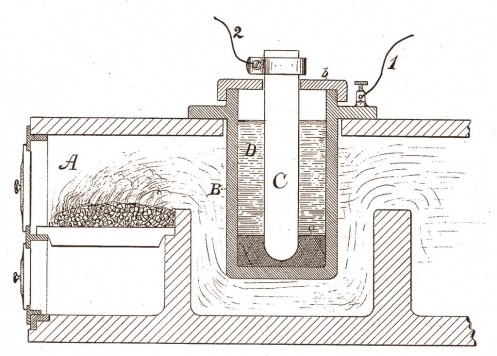 This patent for a storage battery was issued to Thomas Edison in 1918. My invention relates to storage batteries and more particularly to an arrangement for preventing such batteries from becoming sluggish or otherwise less effective in action under certain conditions. It is well known that in cold weather and cold climates storage batteries become slower and less efficient in operation, and the principal object of my invention is to overcome this objection. 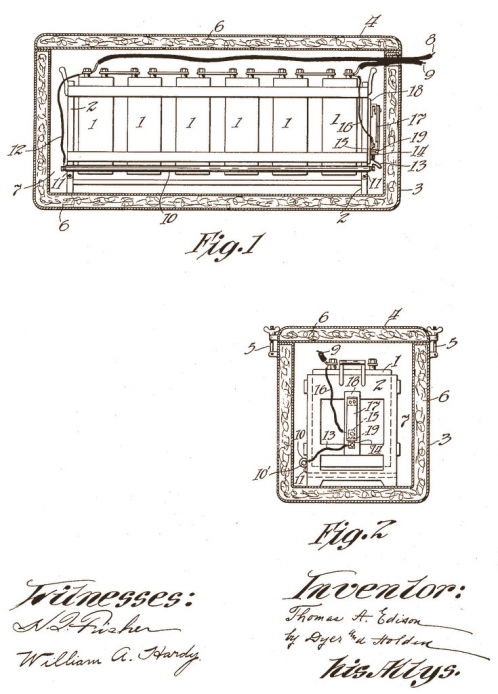 This patent was awarded to Thomas Edison in September, 1891 for "A Process and Apparatus for Generating Electricity." The object I have in view is to generate electricity directly from carbon, coal or other carbonaceous material without the loss caused by the indirect method heretofore employed of converting the same into a motive power, from which electricity is produced by mechanical motion. This I accomplish by employing carbon or carbonaceous material for the generating or soluble electrode of a generating-cell and in using therewith as an active agent oxides, salts, or compounds of elements, by the decomposition of which the carbon or carbonaceous material will be acted upon at high temperatures. An airplane design assigned to Jack & Heinz Precision Industries, Inc. of Ohio. The patent was issued to Bert G. Carlson in 1946. A design for an airplane assigned to the Waco Airplane Company of Ohio. The patent was issued to Alex Francis Arcier in 1949. This amphibian airplane design for Republic Aviation Corporation was awarded to Percival H. Spencer of New York in 1950. This is another view of a design for an airplane by Jack R. Atkinson, which we posted earlier. Patent was awarded in 1950.